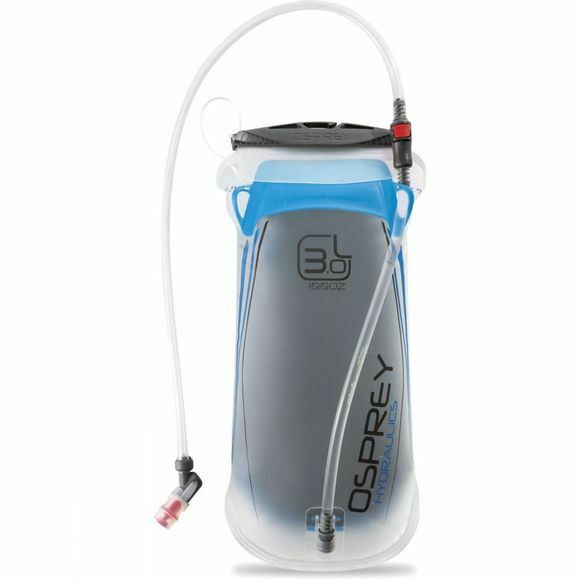 Perfect for keeping effectively hydrated while on the move the Hydraulics 3L Reservoir from Osprey has been carefully considered to ensure its easy to use and easy to clean whilst also being easy to carry comfortably. Keeping hydrated by drinking a little, more often can leave you feeling more comfortable for longer while on the move and the sturdy back plate helps to keep the weight of a full reservoir sturdy in your pack. The Bite Valve unit is magnetic to enable easy access and stowable on the move while the lockable valve offers a fast and smooth water delivery for easy, convenient and spill-free use. Santa Cruz, California, 1974. Mike Pfotenhause sits down at his sewing machine and embarks on a challenge. A challenge to create an innovative backpack that is complex enough to move with the body. From a head full of ideas and a burning passion, Osprey was formed. Fast forward to today, Mike’s one-man vision has grown into a wide range of Osprey rucksacks and accessories that are being used from the highest of mountains to the remotest of islands and everywhere between. Osprey only design and produce high quality products that are built to last. Innovation is in every strand of each pack and an identity born out of true specialism, Osprey continue a true pioneering spirt that it started with in 1974.